Overhead Door Company of Lubbock offers professional garage door installation performed by our trained garage door installers. We're experts in the industry and the only distributor of Overhead Door™ branded garage doors and openers for residential and commercial applications in the Lubbock area. Give us a call to experience the top garage door installation services in Lubbock from our trained garage door technicians. Schedule garage door installation today! When our guys come out it's important that they have a cleared area to work in. The garage should be cleared of all debris and storage so we can access the full length of the tracks. This is extremely important because if the garage isn't cleared then we can't complete the installation. How long does installing a new garage door take? Installing a new garage door can take up to 4 hours depending on the size of the garage door. For smaller garage doors (8 ft. to 9 ft. wide) the job should be completed in under 2 hours. 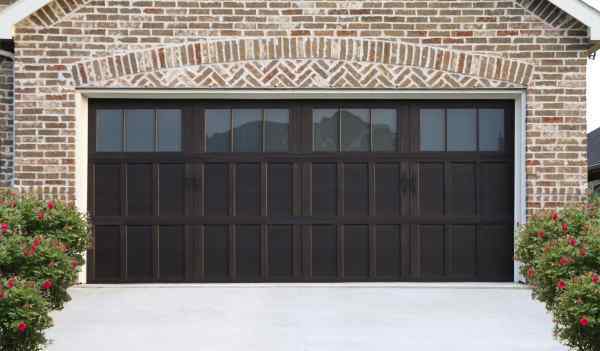 For larger garage doors (16 ft. to 18 ft. wide) can take up to 3 hours to install. If you have two garage doors that need to be installed, you can expect it to take 2 - 3 hours for smaller doors and up to 4 hours for two larger doors.